In the culture which I live, this is a post that hits close to home. 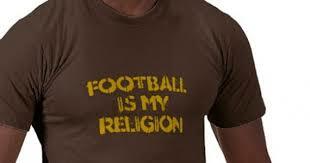 While very few would actually say the words, “football is my religion”, many live like it. This article is a reality check. Thanks Kevin DeYoung. Christian football fans like myself need to take heed and be aware of where we place our affections/time/worship… Click the link below for a reality check for the die-hard football fan in you or your life. Is ministry and worship on the Lord’s Day compromised by my allegiance to football on Saturday and Sunday? Are my emotions all out of whack? Can my conversations go deeper than football? This weekend, as we enjoy life, let us only worship the One truly worthy of worship. 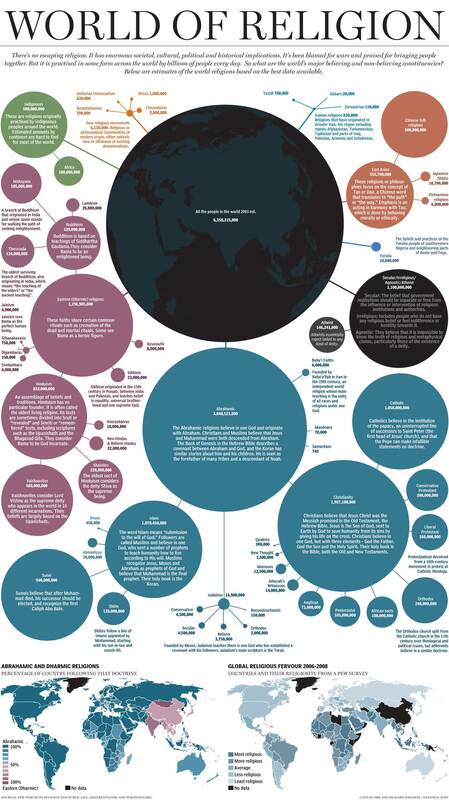 This graphic gives a visual understanding of the size of religious groups on the earth. Pretty cool stuff. Click anywhere on the graphic to zoom in and read the text. 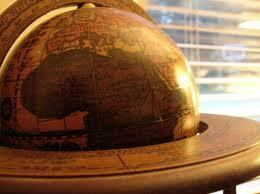 The factual nature of the Bible – Geography style! Here is a cool website I came across. Learn the biblical locations of whatever book and chapter you are currently reading through. Cool to see it all mapped out. click it and see! This reminds me of the reliability of scripture. The Bible is not out to mislead us. It is verifiable and factual. While the Bible is primarily concerned with a spiritual subject matter, namely the Glory of God through redemptive history, when it talks about people and places, those people and places are REAL! We do not have to sift through legends or myth, this is talking about reality. It is so great when archeology confirms what we read in the pages of our bibles everyday! Keep diving into your copies of the WORD! In Psalms 24 David asserts question. “Who can ascend the mountain of the Lord? Who may stand in His holy place?” Or in other words, who can be in God’s presence. What qualifies us to see and know God? This moves beyond the surface level of just knowing about God, but to really KNOW God. To have a relationship with Him. 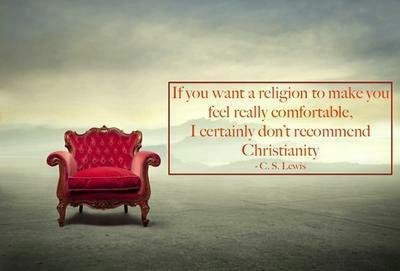 To commune with Him. But the question still remains. If this is what it takes to enter into the presence of God, how can a person really have clean hands and a pure heart! Our hope rests solely in the shed blood of Jesus Christ! Just as David and all of the Old Testament was looking forward to a coming Messiah, we look back on the finished work of that Messiah! Thank you Father for making a way for us to have clean hands and a pure heart, even when we were filthy dirty! Thank you Father for substitutionary work of Jesus on my behalf. Because of Him I have a righteousness not of my own, but of His. “Such is the generation of those who seek Him, who seek the face of the God of Jacob.” Through the work of Jesus on the cross we can be part a generation that seeks Him. Being part of this group is not through genetic heritage as the Israelites thought, but it is through spiritual heritage. Rise up O generation! You who have been purchased by the blood of Jesus, You who have been given clean hands and a pure heart, Rise Up! I am seeking a generation who will be intentional with the hope we have been given. That we would live it and share it. That our churches and youth ministries would exemplify what it means to be a generation that seeks His face!